It is located in a quite area, few steps from St. Mark's Square and 5 minutes from Rialto, in the Venice's cultural and commercial heart. 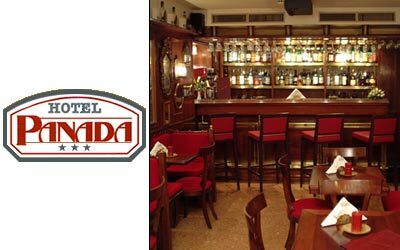 Since 1889, the Hotel "ANTICO PANADA" is housed in a XVII century mansion, recently renovated. Its delightful bar named "Ai Speci" (at the mirrors). It is an intimate venetian haunt, superbly decorated with authentic antique framed mirrors. All rooms are exquisitely furnished in elegant venetian style, all with shower and bath (several equipped with hidromassage), air conditioning, private safe, direct dial telephone, colour TV.